Welcome to WHITE ROCK SQUARE II! 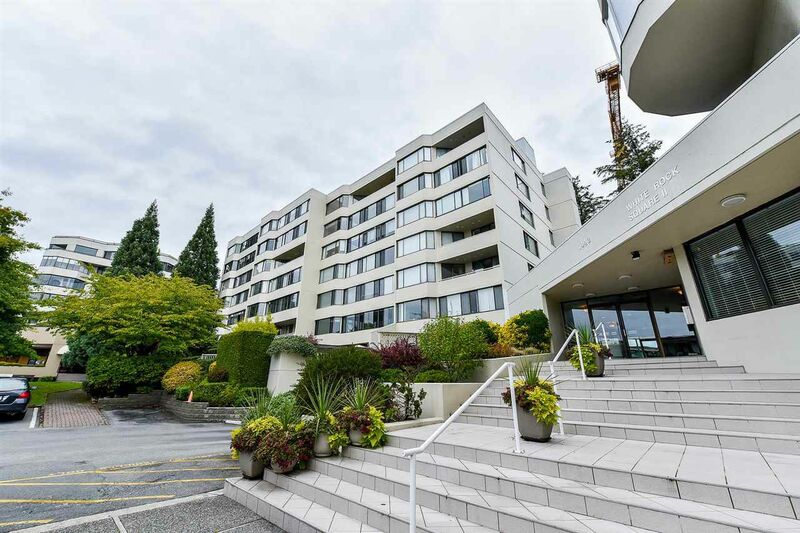 |With a fabulous UPTOWN WHITE ROCK location & CONCRETE BUILDING, this spacious, lovely, updated and meticulously maintained 2 Bedroom/2 Full Bath, 1234 sq ft suite boasts newer kitchen & appls; hardwood floors; insuite laundry; and enclosed, year round West facing OCEAN VIEW Solarium for the most amazing Sunsets! Leave the car at home and its short walking to the shopping center, transit, restaurants, banks, Community Center, etc - giving you an easy, convenient lifestyle in our amazing ocean front district! Maintenance fees include Shaw Cable, heat, hot water, gym, rec room, and caretaker for this adult orientated building. No rentals/No Pets/55+/No Smoking bylaws.